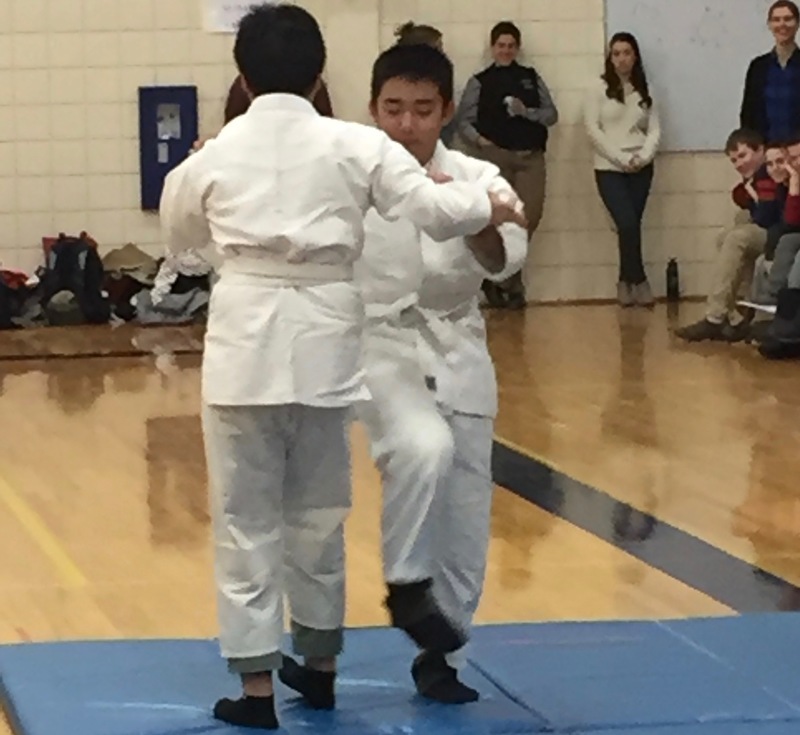 The Casco Bay Japan Exchange Program and HMS had the honor of hosting ten students and four chaperones from Namioka, Japan from January 5 through January 11. Namioka is a small, rural city (population 20,000), which is located on the northern point of the largest Japanese island, Honshu. 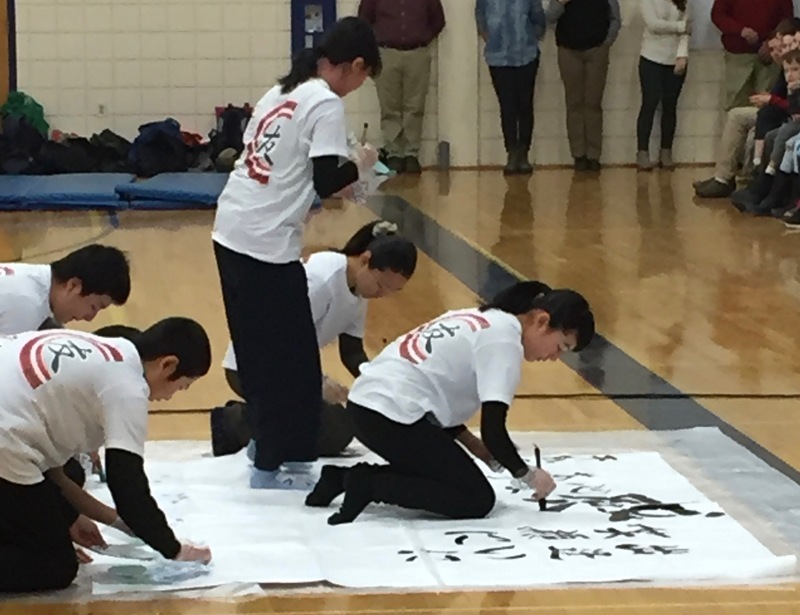 Eight HMS students hosted students visiting from Japan; the other visiting students were hosted by families from Greely. Hosts and visitors spent time at both schools. 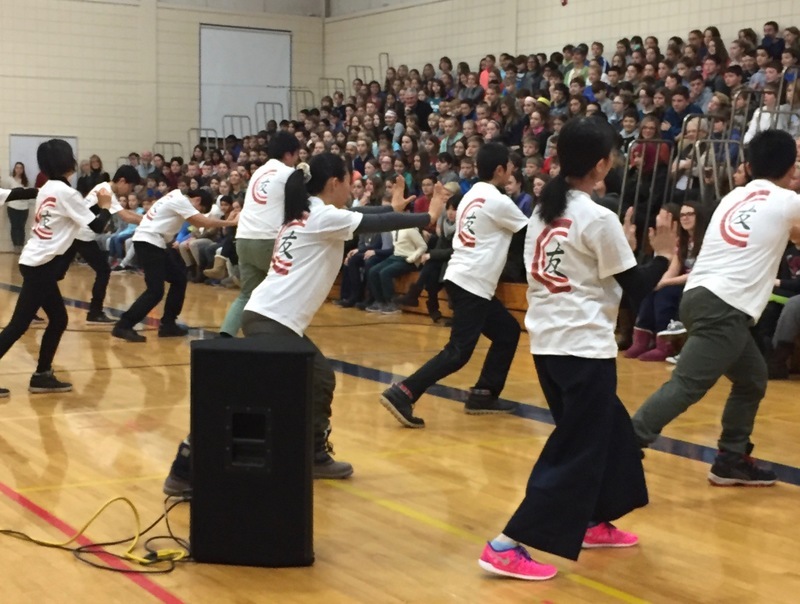 This adventure began with a school-wide welcome ceremony at HMS on January 5th. We learned so much from the Japanese students, administrators and chaperones during their time with us. They taught us about their culture, their school day and their activities. They also did a beautiful demonstration of calligraphy, which delighted our students and staff. We want to thank Stephanie Robison and Meghan Haugevik, HMS liaisons to this program, for their ongoing work to provide this important and meaningful learning experience for our students. Our thanks also to Mr. C. and the 7th/8th grade band for their moving rendition of the Japanese anthem, and to Dr. Dolloff and the school committee members who were able to join us for this celebration. We greatly appreciate the warm welcome extended by HMS students to our visitors and our students’ respectful, engaged behavior during the assembly. This partnership has a powerful impact on all our community. We’re grateful to participate in this program.